U.S. Transportation Secretary Elaine L. Chao announced that the U.S. Department of Transportation's Build America Bureau will provide up to a $46.94 million Transportation Infrastructure Finance and Innovation Act (TIFIA) loan to the Central Texas Regional Mobility Authority (CTRMA). The loan is for the 290E Manor Expressway Phase III Project. "This $46 million investment will help reduce congestion at a major intersection along U.S. 290 expressway, and also will improve reliability on this hurricane evacuation route," said Chao. 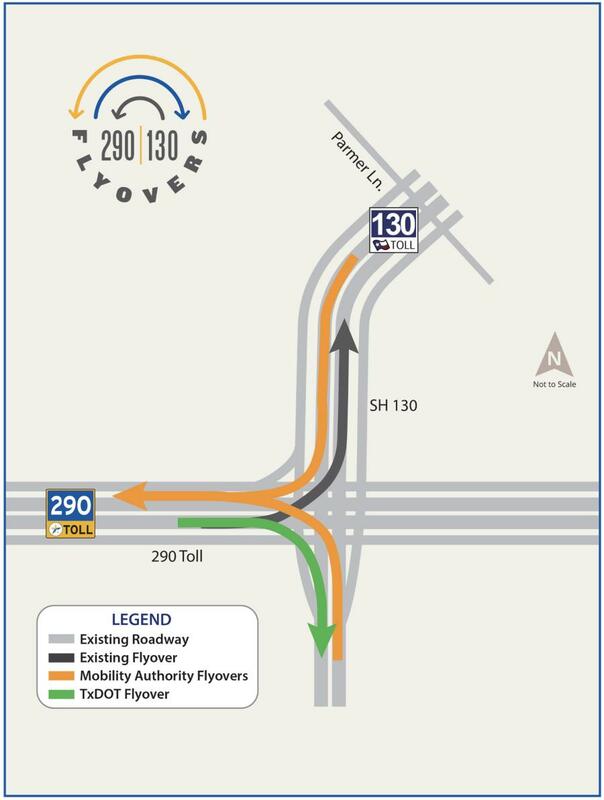 The project is located at the intersection of U.S. 290 and state highway (SH) 130 in the city of Austin within Travis County. It will add three direct connectors to complement the single existing direct connector currently owned and operated by Texas Department of Transportation (TxDOT). U.S. 290 is a significant east-west commuter and freight route as well as a hurricane evacuation route, while SH 130 serves as a north-south commuter route and bypass to I-35. The TIFIA loan will be repaid by toll revenues from the project as well as from four other projects developed by CTRMA: 183A (Phase I and II), 290E (Phase I and II), SH71, and 183S. Of these, the first three projects are operational and the fourth project (183S) is expected to begin revenue service around mid-2020. The Bureau, which administers the TIFIA credit program, was established as a "one-stop shop" to streamline credit opportunities, while also providing technical assistance and encouraging innovative best practices in project planning, financing, delivery, and monitoring. During Secretary Chao's tenure at DOT, the Department has closed $5.4 billion in TIFIA financings, supporting $18.8 billion in infrastructure projects across the country.